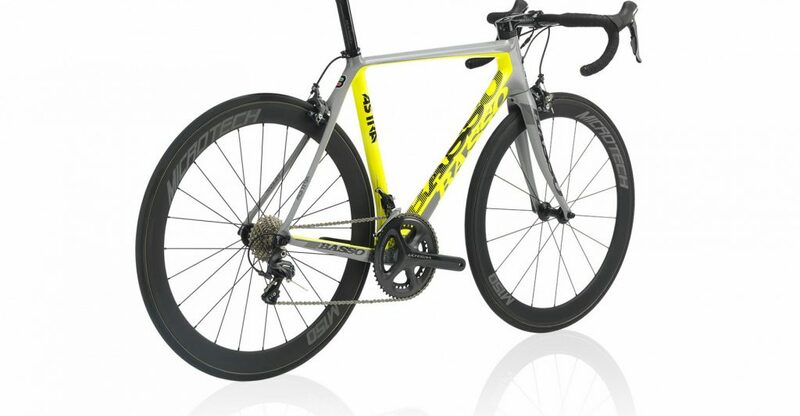 Cone shaped and edge profiled head tube. 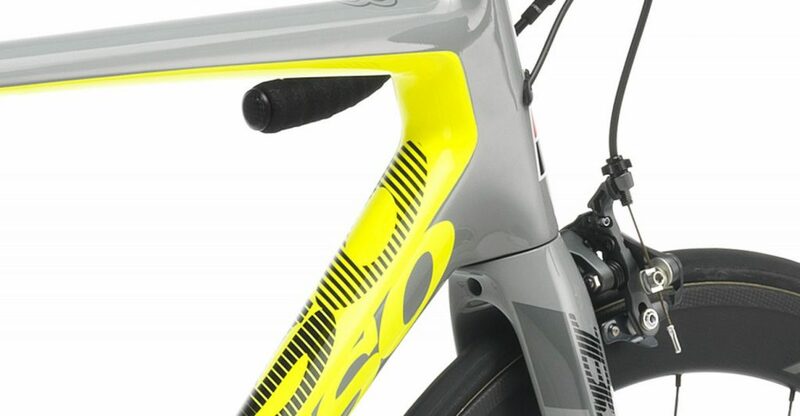 The edged shaped rear area of the head tube, which links directly to the two main tubes of the front triangle and in a continuous line to the rear seat stays not only gives the new ASTRA a unique look, but also allows us to maximize rigidity and strength with increased riding precision and great reactivity in the standing position. 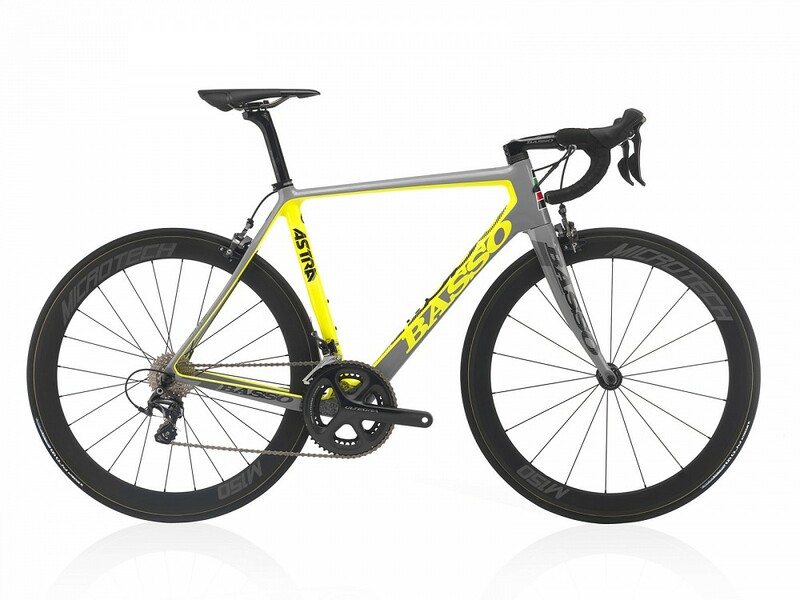 The larger basis of the head tube creates a wider and more rigid surface, erasing the weaker structural spots. 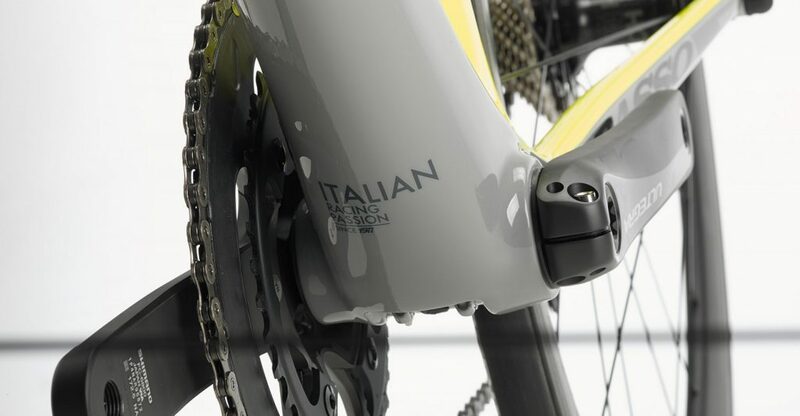 The new BB shell construction procedures, previously only used in our top of the line model DIAMANTE, is now adopted for the ASTRA: the carbon fibre bottom bracket shell made from a single moulding allows us to have a perfect compact structure which gives torsion-free pedalling even at extreme loads, and keep the weight as low as possible. 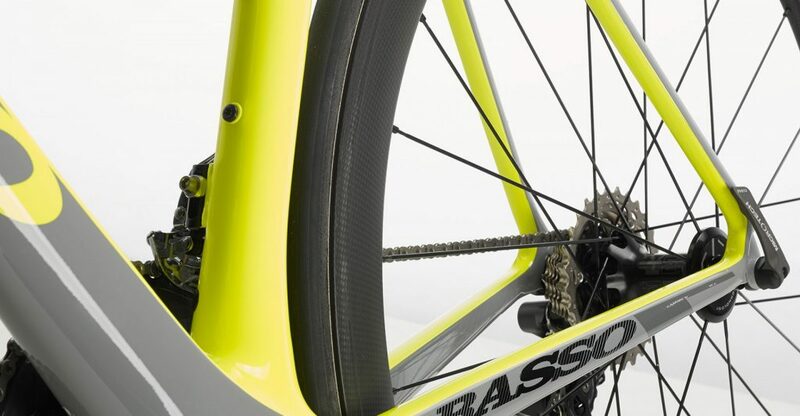 Brand monocoque fork with the 1”-1/8 upper bearing housed directly in the carbon.